In addition to identifying growth shares that show all the signs of superior management, you can also immunize your portfolio against under performance and reduce risk by employing a Covered Call Option Strategy. Self Managed Super Funds are uniquely positioned to benefit from this strategy due to the lower taxation rate. For covered calls we only invest in large, strong, stable Blue Chip stocks. These companies have a long history of superior management and are household names eg BHP, Rio Tinto, Wesfarmers, Banks, etc. 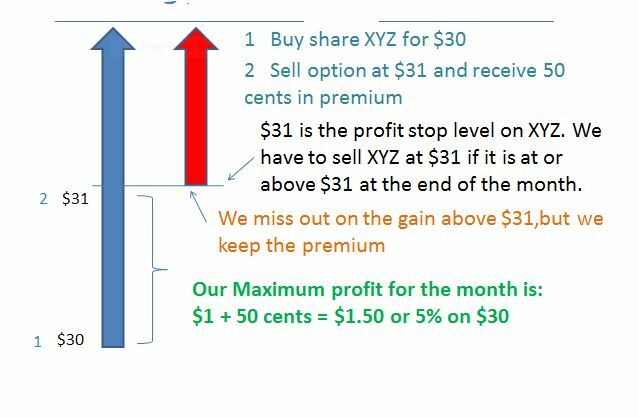 – Then selling an option over that stock for which you receive money for selling the option and this is called “Premium”. The buyer of the option, the option holder, has the right to buy your stock from you at an agreed date and at a specific price. 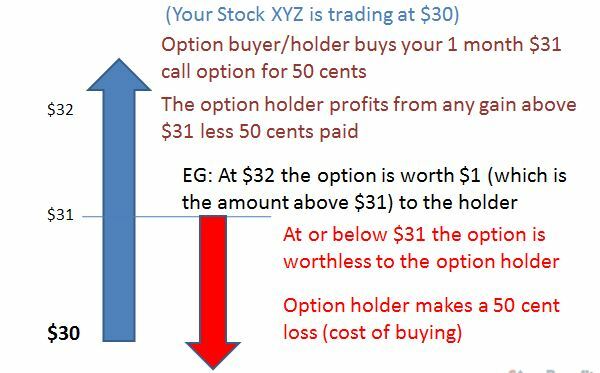 You have to sell your stock to the option holder if they elect to exercise the call option when the agreed price is reached. Regardless of what happens to the stocks share price you always get to keep the Premium. Covered Call Options are ideal for pensions in self-managed super (SMSF), as holding blue chip companies gives some peace of mind, dividends will mean your Franking Credits are refunded, and you earn the premium each month to help pay your pension. They also can work for in regular SMSF. For more information, or to discuss the detail, you can call Tom, our broker, for a FREE discussion Melb 03 9667 1904. This entry was posted in Investing - Stock Fundamentals, Masterclass Investment, SMSF Investing and tagged Investments, Self Managed Super, SMSF, Super, Superannuation. Bookmark the permalink.